I love old school David Bowie and the associated experimental makeup. I randomly came upon this awesome tutorial video on YouTube on how to apply a Bowie-esque look. 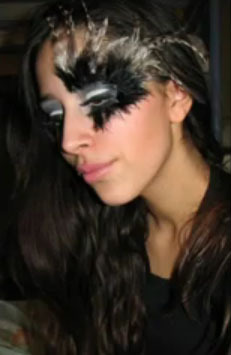 This particular feathered eye look is inspired by the 1980s fantasy film Labyrinth starring the one and only Mr. Bowie. Check it out! Hi.I am properly into a tedious sunday thank you for giving a thing to think about.This is the great history got us thinking,Appreciate it!. I am a Boston Cab aceand I was doing a research for the keyword Boston Taxi when I found this site. I must admit I revere the ideals you have shared here and look forward to retruning and more. I just found your fantastic webpage and I have to explain how much I like what you have said. I hope to againand find something else I like. I appreciate the individual thoughts and opinions, but would be much happier with logical and educated responses. Got certain insightful and appropriate answers on this post. Browsing literally help a lot in locating ideas and i’m pleased the way the web have changed while doing a research today. Incredibly relevant posting I need for my study, as a student is not an easy job. I’ve got to ensure it is reputable or I’ll get kick out. Have a good day and Thank You. It’s unusual for me to find something on the net that’s as entertaining and intriguing as what you’ve got here. Your page is lovely, your graphics are great, and what’s more, you use source that are relevant to what you’re talking about. You are certainly one in a million, keep up the good work! Many thanks – I ought say, impressed with your site. I will post this to my facebook wall. 2. Awesome job over again. Thanks a lot! Pretty good post. I just stumbled upon your site and wanted to say that I have really enjoyed reading your blog posts. Any way I’ll be coming back and I hope you post again soon. Hey there I must say I revere your . As a Boston Cab driver I meet all kinds of fun people and now I just can`t get enough. As soon as I drop off my Boston Taxi I come right and fire up my computer looking for entertaining and informative blogs like this one. The next time you are around zip code 02127 Southie Mastop by and see us! This won’t be the last time I visit this blog. Some great information here. This was a very good post to see, many thanks. I’m going to talk about this blog post with my pals and friends and family on our web page. It absolutely was authored wonderfully. Appreciate your sharing.